Let me start of by telling you how glad I am to be able to get this post done. 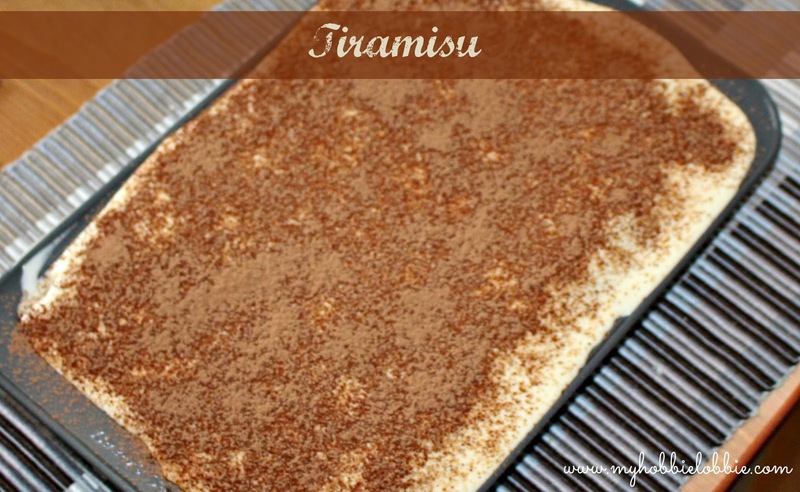 We made this batch of Tiramisu a couple of weeks ago and I finally sat down to post about it last evening. When to my shock and horror I couldn't find the recipe. I spent over an hour hunting for it. See I have this horrible habit; I bookmark recipes that pique my interest. Everywhere - on my laptop, my husband's laptop, my tablet and this is apart from the thousands that are on Pinterest. I went through every possible list I thought it would be on, but I just couldn't track it down. I'm usually good at keeping my links safe. Then I decided to take a little break and combed through my Pins again, for the third time. Much to my relief, there it was, sitting pretty. I was glad I hadn't lost this recipe, because not only was it an easy one to follow, it was absolutely delicious. There are a lot of recipes out there with differing methods. This one sounded good and I'm going to stick with it. 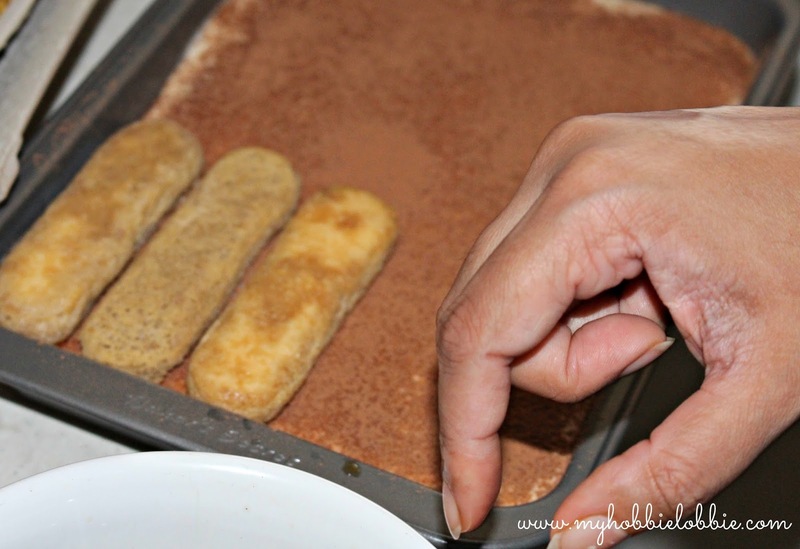 400g Savoiardi biscuits (lady fingers), approx. Prepare the coffee. Set aside 1 tsp of coffee and mix the rest with the water. Mix the brandy into the cooled coffee, if using. Beat the eggs with sugar till fluffy about 2 minutes. Start on a low speed and gradually increase. Add the mascarpone cheese and the 1 tsp of (cold) coffee that was reserved. 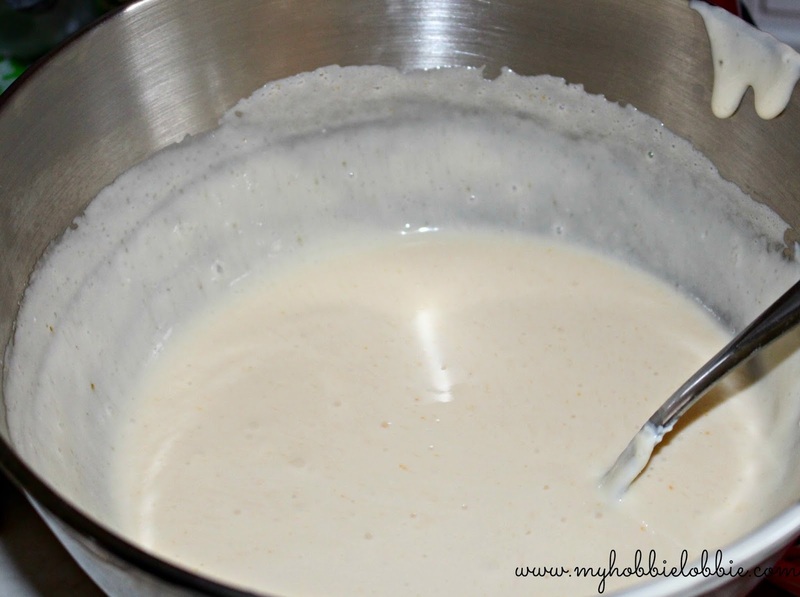 Combine everything together until you are left with a soft and creamy mixture. Spread a very thin layer of the mascarpone mix on the bottom of the pan. Lightly dip the savoiardi into the coffee solution, but do not over soak them. Layer them over the mascarpone layer. 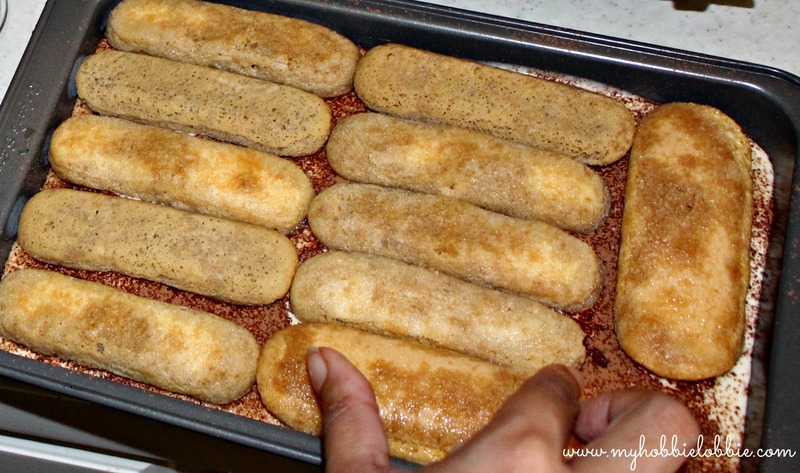 Try to cover the base of the pan with the biscuits without leaving any gaps. 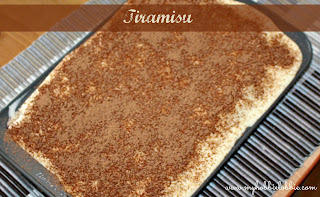 Spread half the mascarpone mix over evenly and dust with cocoa. Repeat with another layer of savoiardi and mascarpone and a final dusting of cocoa.